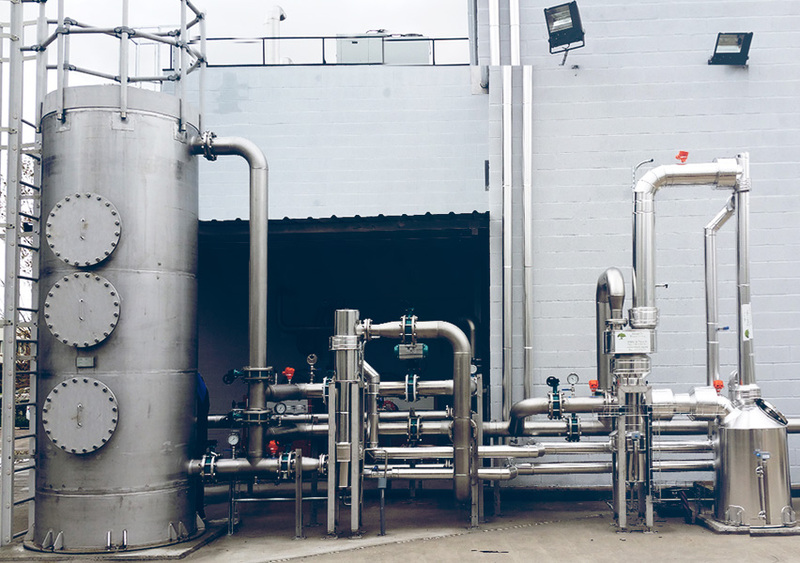 Energy & Waste is an environmental engineering firm that specializes in processes for the treatment and recovery of biogas, as well as energy generation from solid, liquid and gaseous waste. The company was founded in 2000 and has carried out numerous projects in Europe and America. 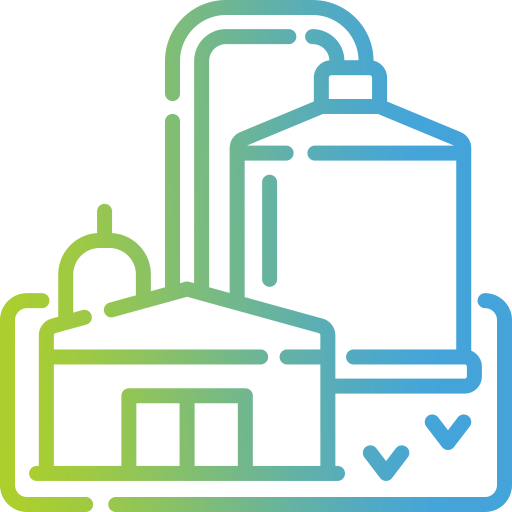 Energy & Waste is a company driven by technological research, development and innovation (RDI), as the basis for offering the most efficient solution to each client, so that it can optimize its environmental and financial results. Removing water vapour from biogas. 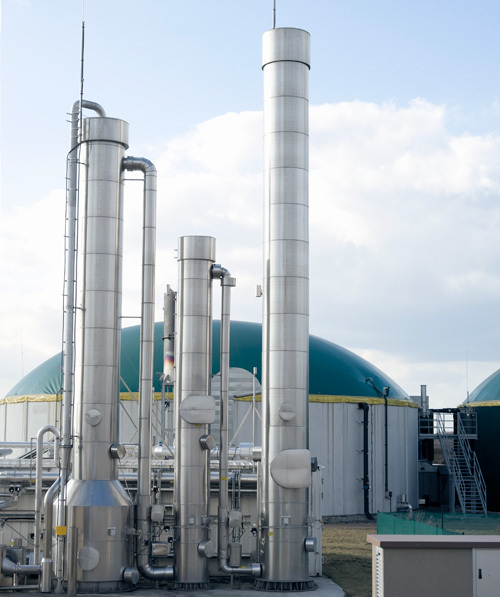 Biogas is a gas mixture formed primarily of CH4, C02, water vapour and traces of other components (H2S, siloxanes, NH3, hydrocarbons and others). 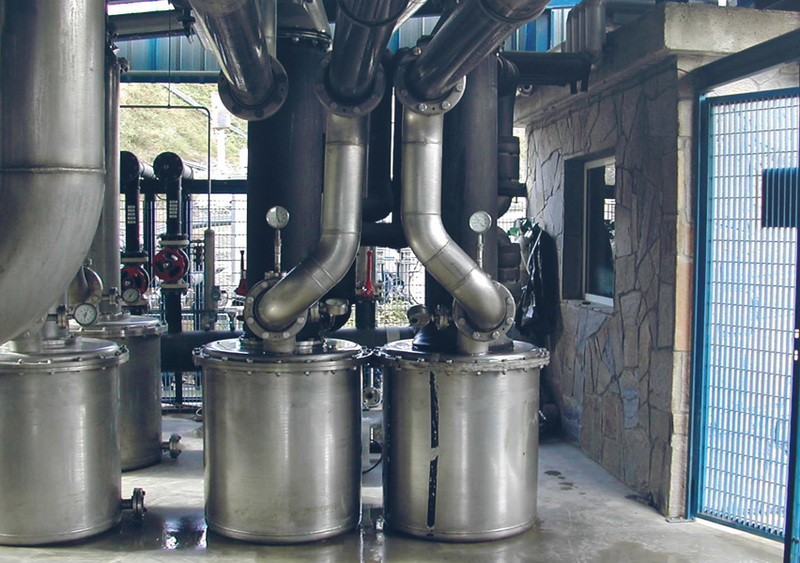 In order for it to be used within the CHP system, its moisture content needs to be reduced and all harmful compounds must be removed to ensure the durability of the equipment involved in its use as a biofuel. This technology combines cooling and condensation techniques which allow an elimination efficiency of over 95% to be achieved, depending on the working temperature, while also offering low operating costs. This can include a recoverer-washer, which in addition to minimizing the energy needs of the operation, allows the biogas to be washed with its own condensates producing a partial reduction of H2S and NH3. CO2 removal and biomethane production. This is performed by chemical absorption. The biogas is washed with a suitable chemical solvent (alkanolamine) to remove up to 100% of CO2 from this stream, as well as possible traces of H2S that can be found in biogas. As a result of the process, a biogas stream with a high level of CH4, similar to natural gas is obtained. The removal of foam and solids from the biogas is accomplished through two different techniques. First directing the biogas stream into a baffle that is located in an oversized chamber. Secondly, the gas is subjected to an extended exposure of continuous water spray. As a result, the foam is broken down and removed through the drain located in the lower part of the equipment. 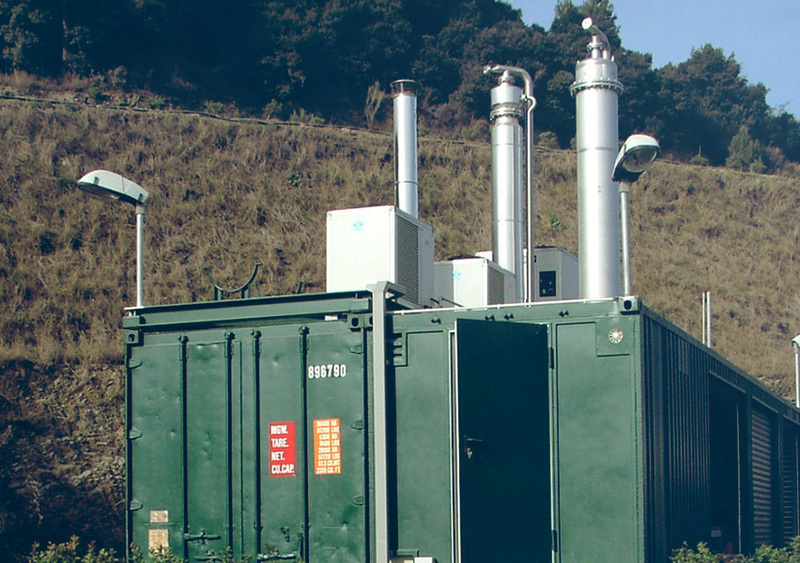 We are experts in supplying the most efficient systems for the treatment of biogas, but our range of environmental solutions covers other fields in waste treatment and power generation, such as the following. • Cleaning/treatment of biogas (reducing humidity, particles, foams, H2S and siloxanes). • Transforming biogas into fuel for automobiles or injection into the natural gas power grid. Biomethane. 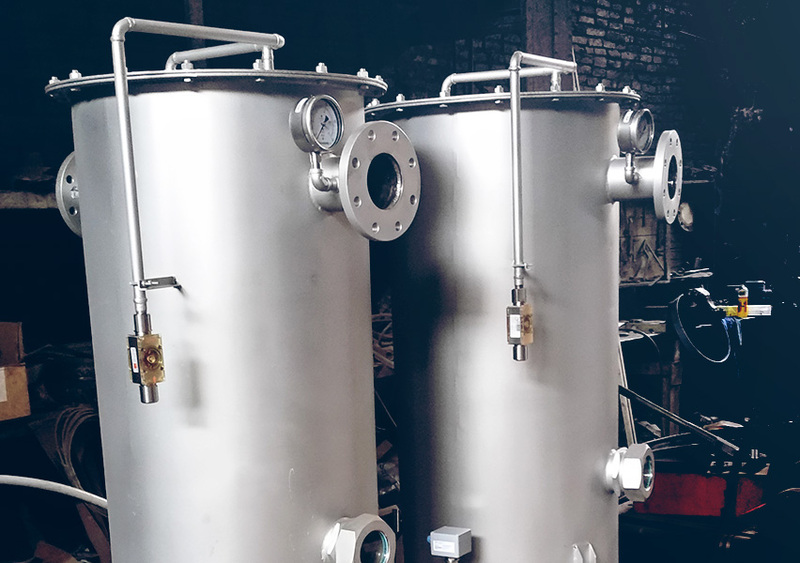 • Scrubbing gases from pyrolysis and gasification processes. • Air-freshening of the atmosphere in dry. • Pyrolysis for a range of different waste types. • Drying sludge in fluidized beds. • Biomass gasification (wood, sludge, paper, cardboard, etc.). Our team is committed to creating value for its customers through developing customized systems that provide the best results. We offer turn-key solutions, covering the following services: analysis, planning, design, construction, installation and maintenance. Understanding the customer’s needs and its current situation to find the most efficient solution. Design and development of the solution proposed including every single detail. Construction, testing and start up of the plant with a constant monitoring of the results obtained. We offer complete after sales services and technical assistance to ensure an efficient and continuous operation of the plant.